Even though there are a ton of great breweries and a handful of great bars and restaurants up there, I don’t make it up to North County to drink much. It’s so easy for me to have a beer within a short distance of my house at Toronado, Blind Lady, Hamilton’s or any number of other beer places that driving up to North County to drink beer just doesn’t make sense. That said I do find myself drinking up north every once in a while, and last night I got to check out one of the newer beer-centric restaurants, Sublime Ale House during a media preview night. Located in San Marcos’s Restaurant Row, Sublime Ale House isn’t far from Churchill’s Pub & Grille and while it’s certainly an oversimplification on one level Sublime Ale House felt like Blind Lady to Churchill’s Toronado. There is no judgement in that statement at all, I love both BLAH and Toronado quite a bit and my more limited experiences at Churchill’s and now Sublime have been great as well. But they do have a different feel from one another. 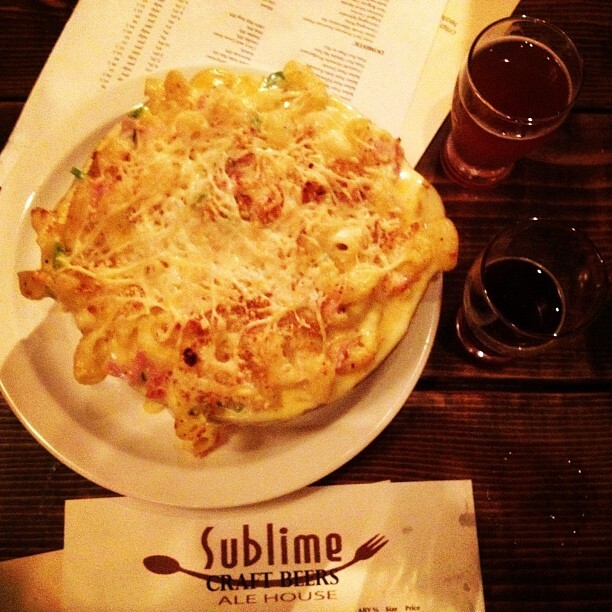 Sublime Ale House is bright without being too bright and feels like it has plenty of space. There’s a bar in the middle of the restaurant, with different types of tables spread throughout, some long picnic style tables and other smaller more intimate. I’m told they have 56 taps (I didn’t count) and the draft list was good, a lot of local stuff, plenty of craft beer from the rest of the country, a handful of Belgian’s and a few other beers from Europe and Canada. Not a macro beer in sight on the draft list. They also have bottled beer but I didn’t look to closely at the list. I had beers from Pizza Port Carlsbad, Coronado Brewing and Iron Fist. The food is upscale pub grub (Gastropub? ), with salads, pizza, macaroni and cheese, burgers, sandwiches and more. The salad and pizza I tried were both good. You can see the full menu here. 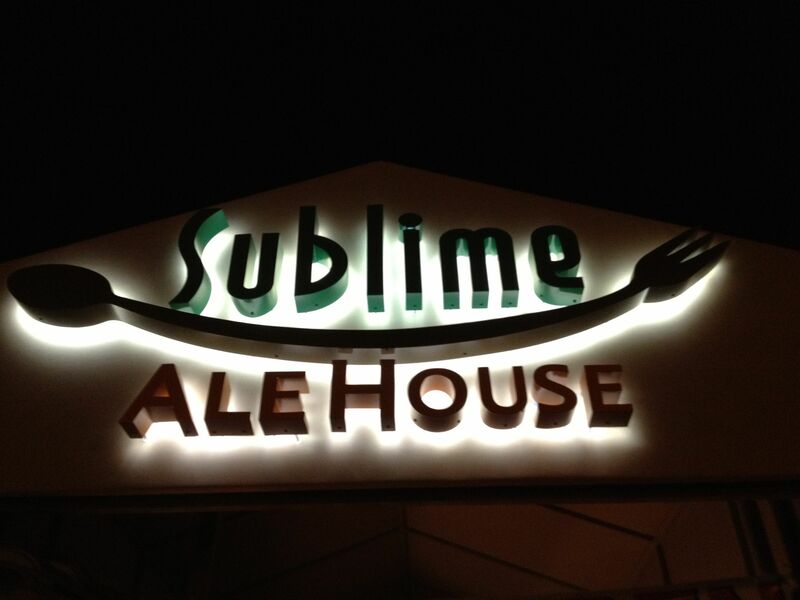 With San Diego Beer Week events already showing up on their website Sublime Ale House is a great addition to ever growing craft beer scene in North County. There might not be enough to draw folks from central San Diego up just for food and beer, but if you find yourself up there, or better yet if you live nearby, check it out.